I love the smells of fall baking. That combination of fruits like apples and pears with heavily fragrant cinnamon, cardamom and other spices. 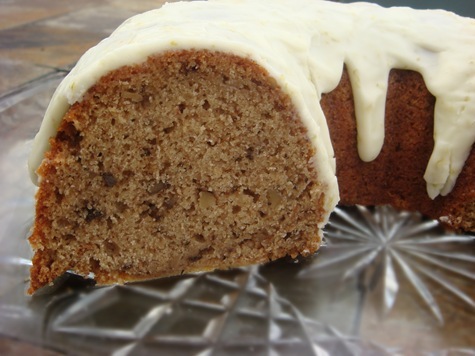 This recipe makes a highly adaptable batter that can be made into a bundt cake, quick-bread loaves, or muffins. Or if your bundt pan is on the small side, like mine, a combination of both cake and muffins. Breakfast and dessert all in one shot! The lime glaze provides a tart, but sweet contrast to the fragrant fall flavors in the pear cake. I love cinnamon, but I don’t enjoy large amounts of nutmeg. Small amounts are fine, but I find that it can be very overpowering. One of my favorite fall spices to bake with is cardamom, and I will often swap out nutmeg in a recipe and replace it with cardamom. Cardamom is in the same family as ginger, but it is the seeds and pods that are ground and used for cooking, unlike the root with ginger. It is often used in Indian cooking, but is also a great compliment to cinnamon. It is a versatile spice that can be used in both sweet and savory cooking. The recipe below makes enough batter for a 12-cup bundt pan. My bundt pan only holds 10 cups, so I use the recipe to make 6 muffins (measure these out first) and the smaller bundt cake. 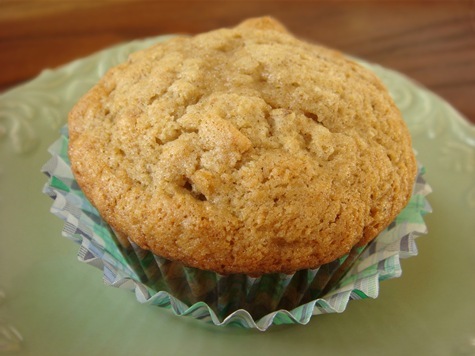 Without the glaze, the muffins make a great breakfast, and they bake up light and airy. The pears in this recipe are very finely chopped, or grated. I use a food processor to chop them finely. Pear skins are very thin, so I leave those on. They are not noticeable at all in the baked goods. Preheat oven to 350°F. Grease and flour desired pans: one 12-cup bundt pan; one 10-cup bundt pan plus 6 muffin cups; 2 loaf pans; or 24 muffin cups. Core pears. Finely chop or grate unpeeled pears (I use a food processor) and place in a 2-cup measuring cup. Use a fork to slightly mash the pears (you should have about 1 1/2 cups chopped, mashed pears). Add buttermilk to the pears to equal 2 cups. Set aside. 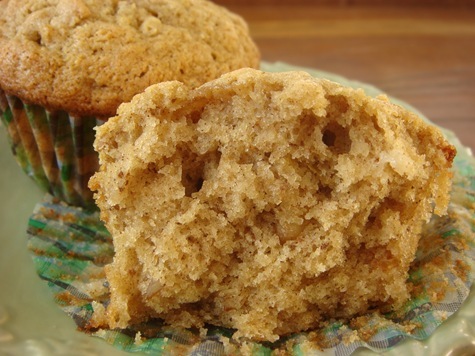 In a medium mixing bowl, beat butter and brown sugar until light and fluffy. Beat in eggs and vanilla. Mix in pear/buttermilk mixture. In a small bowl, combine flour, salt, baking soda, baking powder, cinnamon and cardamom. Mix into pear batter just until combined. Fold in nuts. Pour batter into desired pans and bake as directed below. FOR A 12 CUP BUNDT PAN: Bake for 50-60 minutes. FOR A 10-CUP BUNDT PAN: First scoop batter into 6 muffin cups. Pour remaining batter into 10-cup bundt pan. Bake bundt for 35-45 minutes and muffins for 18-20 minutes. FOR TWO LOAF PANS: Bake for 50-60 minutes. FOR 24-26 MUFFINS: Bake for 18-20 minutes. Combine all glaze ingredients and mix until smooth. 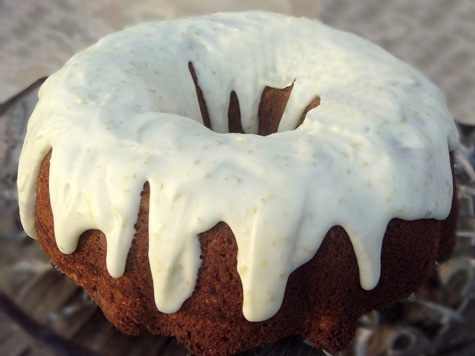 Add additional lime juice or cream until glaze can be drizzled over cake. Cool cake or loaves completely before drizzling with glaze.